representing Sapele State Constituency has been impeached by 22 members out of 29 members at an emergency sitting at the assembly complex. The Deputy Speaker of the house Friday Osanebi who presided over the plenary called for any matter of urgent public importance. Thereafter, the member representing Isoko North II moved a motion for the removal of Monday Igbuya and was supported by member representing Oshimili South Peter Onwusanya. The report stated that, Johnson Erijo in his presentation, specifically said the reasons for the removal of the Speaker was largely due to his incompetence, highhandedness and unassuming leadership style. In another motion, member representing Warri South West Daniel Mayuku moved for the nomination of member representing Okpe State Constituency Sheriff Oborowei as the new speaker and was seconded by member representing Burutu 1 Daniel Yingi seconded the motion. The member representing Uvwie state constituency Efe Ofobrukwu nominated Eric Oharisi representing Ughelli North. Thereafter, Oharisi stepped down for Oborowei Sheriff. After the voice vote, the Deputy Speaker Friday Osanebi called on the Clerk of the house Lynda Ocholor to swear in the new speaker. 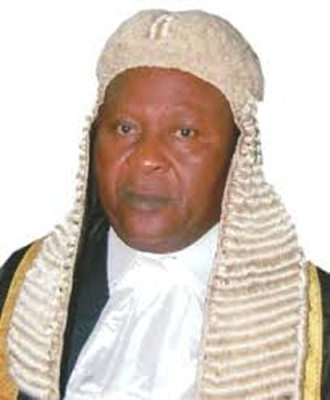 In his acceptance speech, Sheriff Oborowei promised to follow the rules of the house. In another motion peter Onwusanya moved for the suspension and removal of both the impeached speaker and the majority leader Tim Owhefere for 3 months and nomimated Johnsom Erijo of Ughelli North 11 as the new majority leader and was adopted by the house.